If you wrote a post on this or any of my other discussion topics today, Monday June 25th please leave your link in the Mr. Linky before midnight Central time (US) and you will be eligible to win a prize. Are you new to audiobooks in the last year? Have you been listening to them forever but discovered something new this year? Favorite titles? New times/places to listen? This is your chance to introduce yourself and your general listening experience. This has been a very audiobook-y year for me. Since last year’s Audiobook Week, I’ve listened to more than 50 audiobooks, adding up to well over 500 hours or 20 days of audio. This does not even count many of the titles I listened to while doing first round judging for the Audie awards. All of the moving we’ve been doing was really a boon for my listening, we’ll see how I do in this next year with twins. What about you? What were the highlights of your audiobook year? I think your reviews of Faith and Ready Player One may have led me to both of those this year. They were excellent audiobooks, so I will have to make a note of the rest of the titles, if they were as good as those two! I;m bookmarking all these posts so I will have some good ideas for my next audiobook! And thanks for hosting this week – and Sound Byte! I listened to both THE INVISIBLE ONES and A LAND MORE KIND THAN HOME on your suggestion and they are on my best listen list, too. I’ve got THE LANGUAGE OF FLOWERS and READY PLAYER ONE. I need to get to listening! I love that you’re an Audie judge. Happy Audiobook Week! I’m in the middle of Ready Player One right now and I’m loving it! I’m adding the rest of your favorites list to my audio TBR list. Thank you so much for hosting this! 50 audiobooks so far this year is an amazing number!! I’ve had Faith on my wish list for far too long. Have listened to two of Haigh’s other titles and have loved them both… don’t know what I’m waiting for. 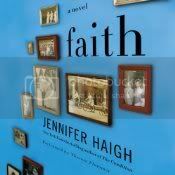 I should really listen to or read some of her backlist, FAITH is still all I’ve gotten to. 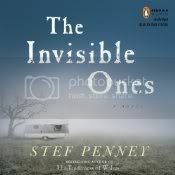 This is my first time joining Audiobook week and I am loving this idea. 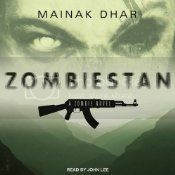 I am looking forward to stopping by everyones blogs and finding some new and great audiobooks. Thanks for all of this! 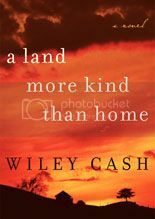 I had the opportunity to meet Wiley Cash and even though I have the print of A LAND MORE KIND THAN HOME, I think I need to listen to the audio. Language of Flowers and Faith are also on my list – you listen to the best audios!! Wow that really is impressive! I’ve been trying to up my audio-hours especially because it takes 2 hours to drive to school, but my car-cd player died Zombiestan looks really creepy! I’ll have to give it a try! 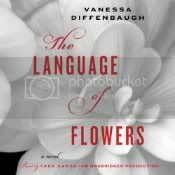 I’ve read The Language of Flowers and loved it! Thanks for hosting this week – I’m looking forward to reading everyone’s posts and to see what everyone’s been listening to! I haven’t listened to any of those! I love getting all these new recommendations. Great picks! Especially, Read Player One! I just finished it last week and it was AMAZING — Wil Wheaton is the perfect narrator! Thanks for hosting! I’m happy to be participating. Oh goody! More audiobooks to track down! I have a serious crush on Ready Player One. I already want to reread it. It’s finally Audiobook Week – hurray! Thanks so much for hosting this. Decided to have a go at responding to this week’s topics from my perspective as a narrator (and a bit of gushing as a listener and will be doing dual postings via the Going Public website – each day with new audio content aligned as much as possible with the day’s discussion topics. Hope it works! Ready Player One made my list too. And The Language of Flowers sounds great. 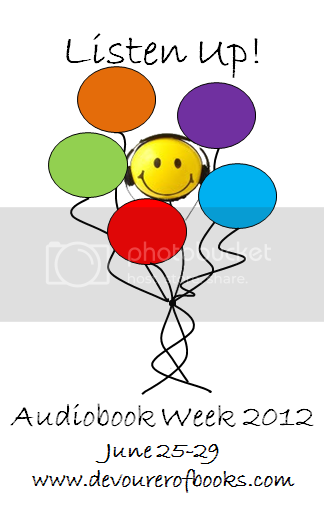 Happy Audiobook week! Thanks for hosting Audiobook Week! so glad that so many are excited to participate. I have another of my Behind the Scenes interviews (looking at women who work in the industry who AREN’T narrators or writers) plus a giveaway. Will be posting a new interview every day this week. This is my first AudioBook week and I look forward to going around and reading everyone’s posts! What a great way to add some cool listens to my to-listen list! I’ve been enjoying listening to David Baldacci this year. I’ve always enjoyed his compelling stories, but this year I’ve heard a difference: he seems to be deepening his characters, and creating more complex and fully-developed relationships between the characters. Fortunately for me, Baldacci turns out about 4 books a year, so I get to listen all the time! The fairly recent combination of Orlagh Cassidy and Ron McLarty sharing narration duties on the Baldacci books has been a welcome one. 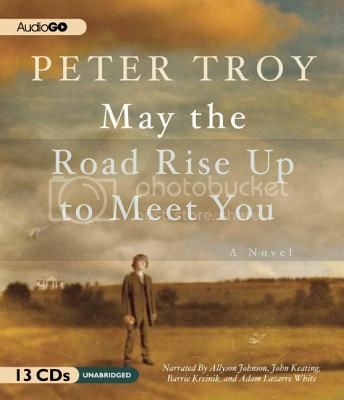 I’ve never been a fan of one person narrating with another person’s voice inserted for alternate character lines (except for the excellent Full Cast productions, in which the entire book is in multiple voices). But because these are two superb narrators, and due to careful editing by the Hachette team, the dual-cast reading has been seamless. Half the time I forget who’s narrating what and just fall into the story. I did really enjoy The Language of Flowers. I’m a first time participant. Thanks for hosting this interesting event! Looking forward to all the exciting posts and activities coming up this week. Girl I just spent TWO AND A HALF HOURS going through blogs and creating a monstrous list of audios I must get. LOL. Thanks for hosting. Ha! I’ve been out for a few hours so have only gotten through the first 15 posts or so and my list is already crazy. 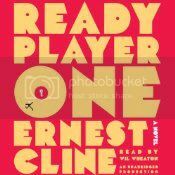 Glad to hear you loved Ready Player One on audio – it’s moving its way up my TBR quickly! Our bookclub is reading Language of Flowers later this year and I’m trying to decide if I should listen or read. Glad you liked it so much! And Ready Player One is fantastic. Listening for the second time right now and enjoying it even more than the first time! My library has The Language of Flowers on Overdrive – will have to do that on audio rather than in print. I am inspired by all these audiobook lovers!! I posted my thoughts and my year. Thanks for hosting such a fab event!! I’m so excited to participate again this year. Your favs list looks good…I’ll have to try a couple of them. I so wanted to write and link a blog post today – but RL had other ideas. At least I wanted to say how much I’m loving everyone’s posts. My TBR list is growing with each article I read, and there’s no end in sight. It’s wonderful to be able to share the love for audiobooks with so many people via blogs, twitter etc. And this has been my biggest audiobook revalation this year – reading/listening to a book isn’t a lonely business. There’s a global community that will embrace you as soon as you get engaged via internet. Audiobooks have saved my brain from rotting while doing chores or driving my kids around for over two years now. This year, I’ve discovered how much more fun audiobooks are when I sharing the experience with others. And now I’ll go and read some more of all this audiobook week awesomeness. Thanks to @devourerofbook for hosting this event! This event is the one I need to have a notepad next to with a list of audio book recommendations. Thanks for hosting this awesome event! In just over an hour I’ll be at the ceremony honoring the best audiobooks for children and teens — the Odyssey Award at this year’s American Library Association meeting. 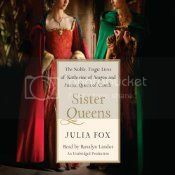 More audiobooks to love! Thanks for hosting Audiobook Week. And they are off…not so easy for me to play this year but I will definitely enjoy viewing no matter what.